Primark is on point at the moment and I just can't seem to get enough of their A/W range. I've spent hours in Primark over the last few weeks obsessing over their winter ranges, so I thought I'd share a few bits and pieces I picked up recently. Fist up, the prettiest shoes ever. 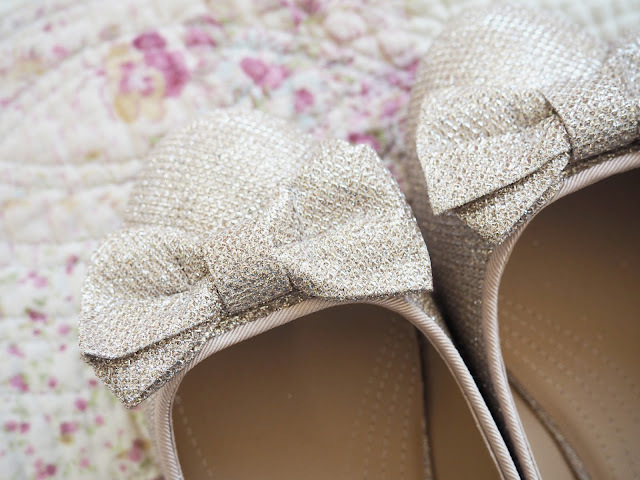 Glitter, gold and bows, what is there not to love? These are just PERFECT for the party season coming up. There actually from the 'wide-fit' section and considering I have very slim feet, these aren't too wide. In fact they're much comfier than the regular fit dolly shoes I own from Primark. These little beauties are only £6 and if gold isn't for you, they come in black too. 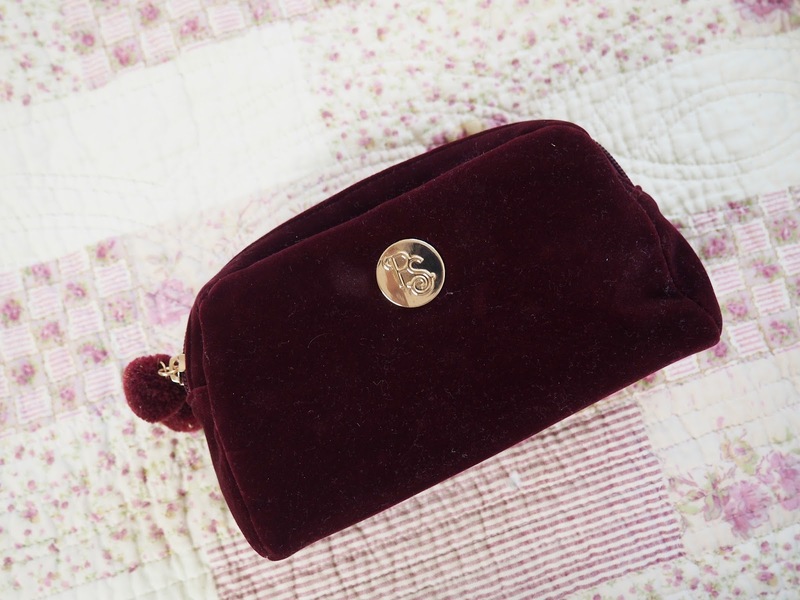 Next up a gorgeous velvet make up bag. I absolutely did not need another make up bag, but I thought this looked so chic and sophisticated I needed it in my life. 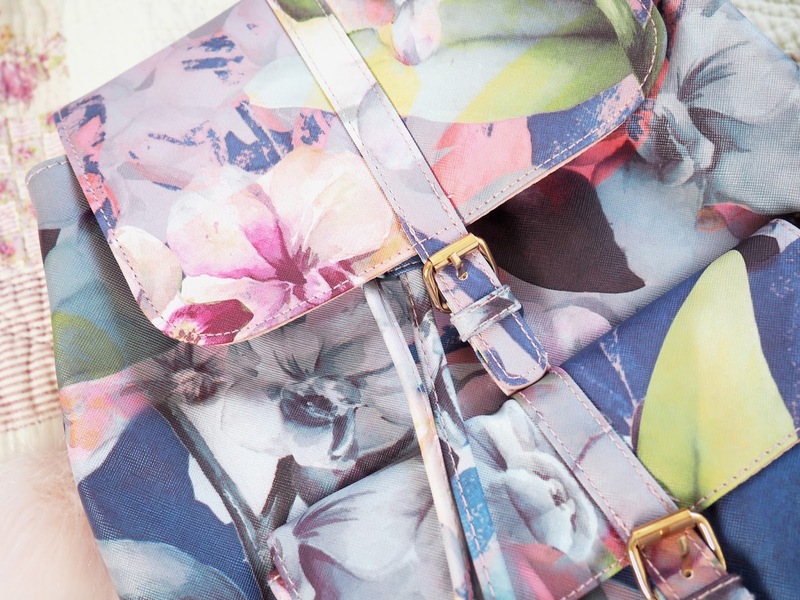 I am completely obsessed with this wine colour at the moment and this bag is just incredible. My only complaint is I didn't consider how much dust would get stuck to the material! But still for £3, you can't go wrong. 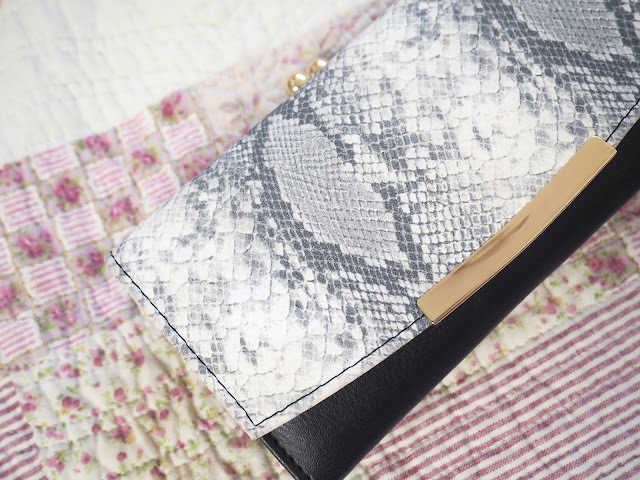 I picked up this snakeskin-esque purse a few weeks back as my only purse was on it's last legs. I love the fact it has enough room for my cards and a separate compartment for my money. The design reminded me of a purse I saw in River Island, but for a fraction of the the price. This little baby was £6 and certainly worth the money. I'd been eyeing up this back pack for a few weeks, but couldn't quite justify £12 on a bag I didn't need. So when I spotted it had been reduced to £5, it went straight in my basket. The design really reminds me of Ted Baker and the material is really sturdy, I know I will get a lot of use from this. Finally the most exciting buy, a gorgeously thick and soft jacket. Again, it's this pretty mulberry wine colour that I can't get enough of. I've seen this over the past few months in a khaki and black colour, but when I spotted this one I ran to pop it in my basket. 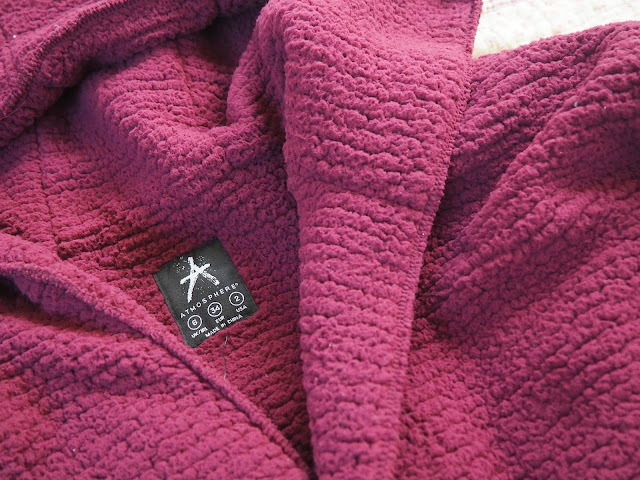 It's the perfect thickness for this time of year and I can't wait to pair it with leggings for the ultimate comfy outfit. These are priced at a tiny £15 and in my eye, worth every penny.